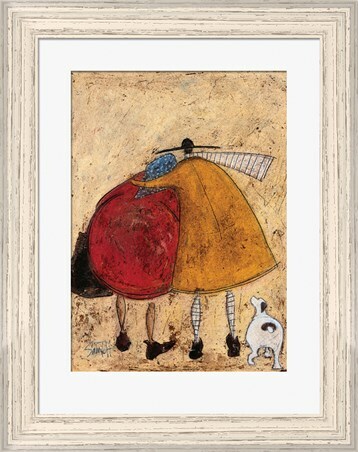 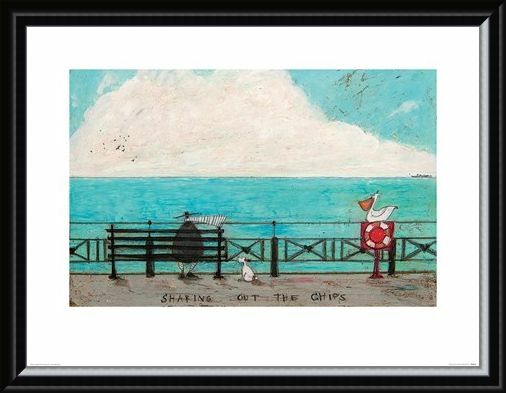 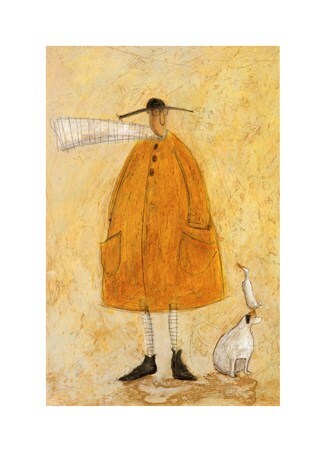 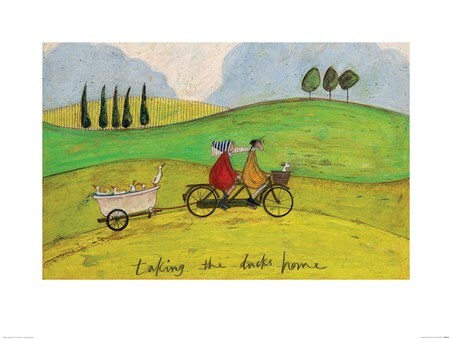 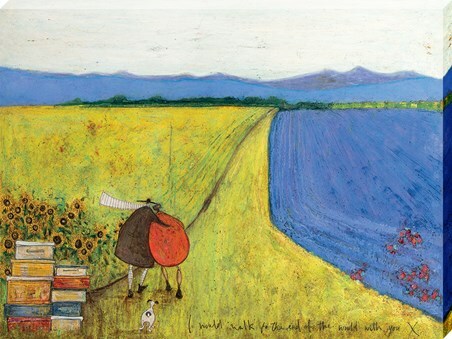 This whimsical creation from British artist Sam Toft is sure to make you feel like you are sat by the sea with the wind in your hair. 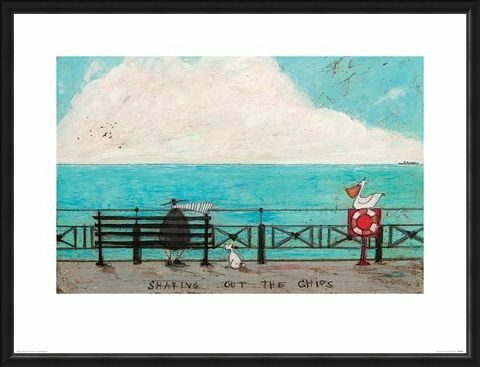 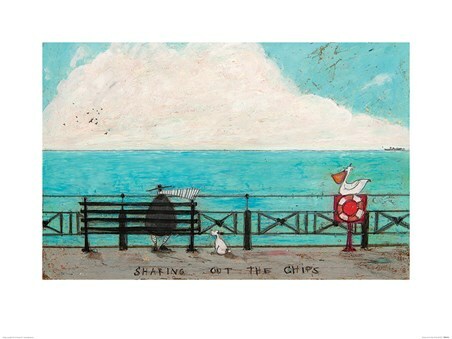 Sat on a bench along the promenade in Brighton Mr Mustard and Doris, the plump Jack Russel, sit sharing a bag of pipping hot chips covered in salt and vinegar, this piece is titled 'Sharing out the chips' and you can get a real sense of the atmosphere that it creates. With blooming white clouds set against the fresh blue sky this spectacular piece is not to be missed!